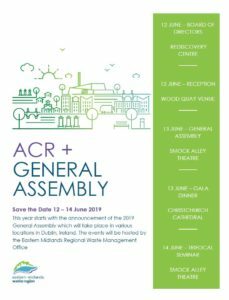 This year starts with the announcement of the 2019 General Assembly which will take place on 12-14 June 2019, in Dublin, Ireland, hosted by the Eastern-Midlands Regional Waste Office (EMRWMO). The 3-day event will start with a meeting of the Board of Directors in the afternoon, followed by an on-site visit of the Rediscovery Center. 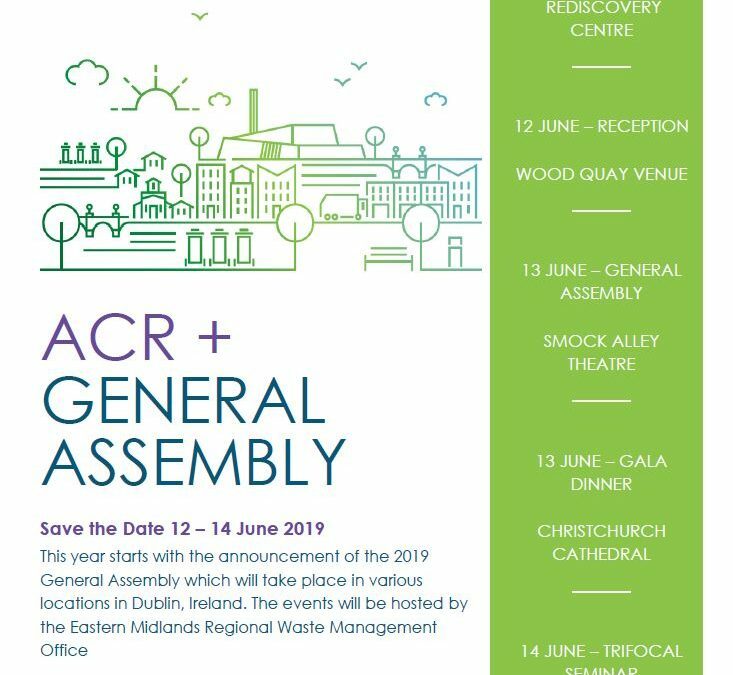 All ACR+ members are then invited to the Welcome Reception taking place in the evening. On the second day, 13 June 2019, the General Assembly will take place in the morning and will be followed by presentations of the activities of members and thematic roundtables. In the evening, ACR+ will have its 25 years anniversary dinner hosted by EMRWMO. On the last day, 14 June 2019, EMRWMO invites all members to assist to a seminar where it will present its conclusions on its involvement in the TriFocal project dedicated to food waste prevention.